Our Arch Spreader system can be fitted to our Steel & HD Aluminium Trench box range allowing 2500mm under strut clearance. 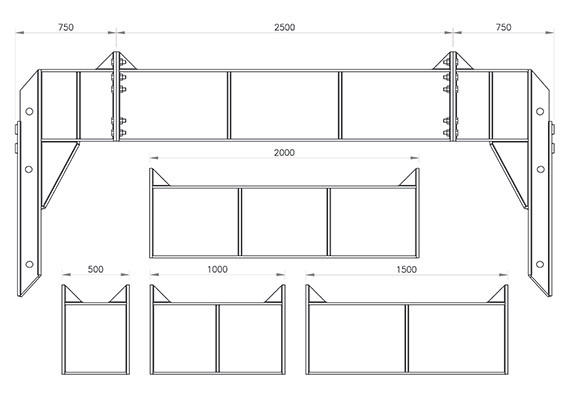 Various widths are available to suite your onsite requirements. 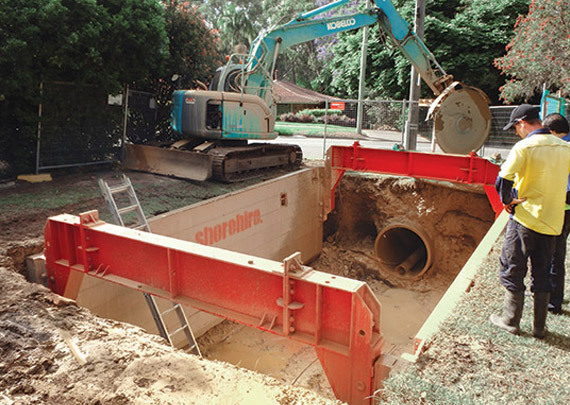 Our Arch Spread system is ideal for applications such as the laying of large diameter pipes & the installation of tunnel bore machines. Assembly onsite is quick and easy, with a range of bolt-on extensions enabling the spreaders to be pinned in place on standard double walled shields, to create exceptionally high clearances. 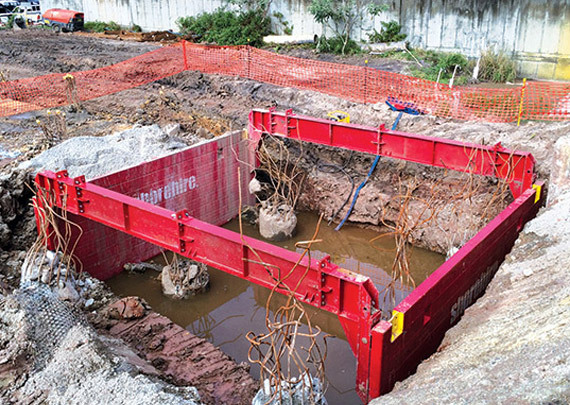 Arch spreaders are the ideal complement to other Shore Hire trench shoring systems for the laying of large objects where high under-strut clearance is required, even where minimal trench width exists. Applications include bore pits, large diameter pipes and box culverts.